Easy one or two handed cutting for copper and aluminum power cables. Specially designed tempered blades combine with positive ratcheting action to cut through most cable. 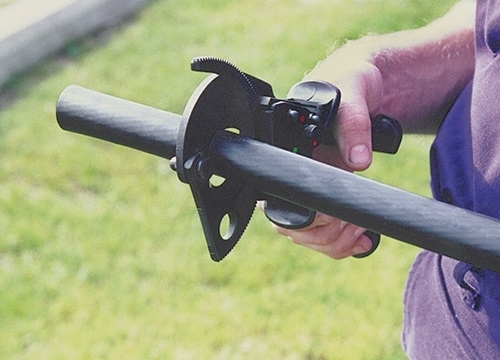 A release lever lets you break free from the load whenever necessary. Hardened steel ratchet teeth resist breakage and will last at least three times longer than inferior ratcheting cutters. Lightweight and portable. 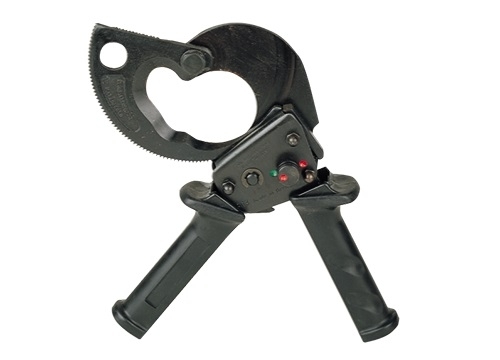 Condux also offers replacement blades for this cable cutter.